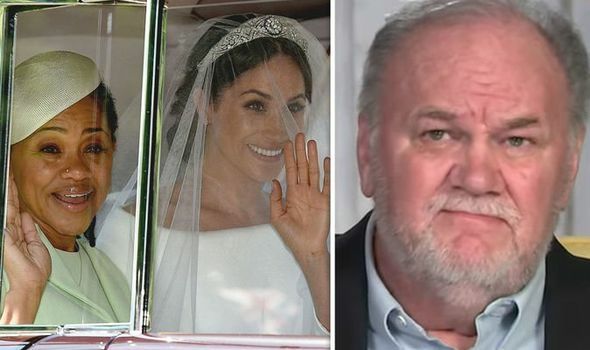 THOMAS MARKLE is “destroying” his relationship with his daughter Meghan Markle and her mother Doria Ragland could be the key to mending the relationship between the pair, a royal expert has said. 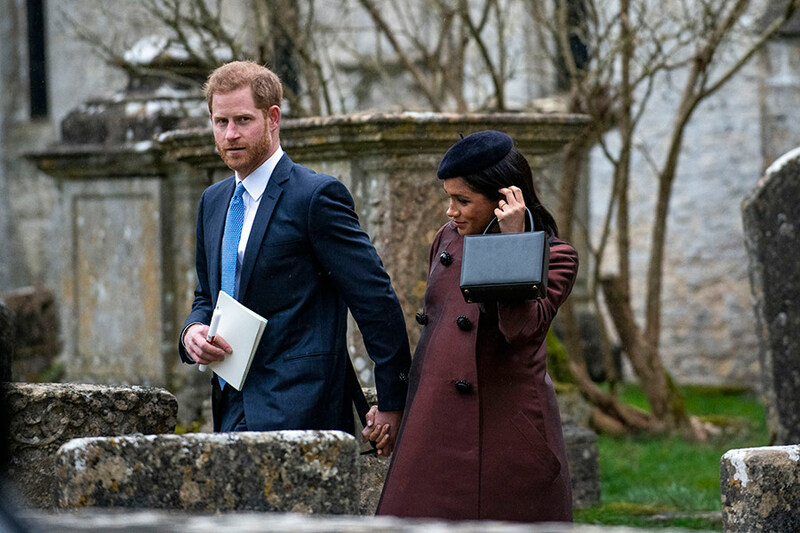 Meghan Markle had used the personal note to highlight on the “pain” her father had put her through following numerous press stunts prior to her wedding to Prince Harry. Thomas then published an emotional handwritten letter from Meghan where she has pleaded for him to “stop lying”. 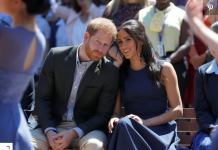 Royal commentator Angela Mollard told New Idea’s royal podcast: “I still believe Doria Ragland is the one. “They put out a joint statement when Harry and Meghan got engaged. They have a good relationship. You know, they have some kind of communication. But the royal expert said there would be one strict condition to a peace agreement between Meghan and her father. Ms Mollard added: “It would have to be on very strict condition that Thomas doesn’t blab to Samantha and Thomas Jr.
“I mean, having a potential closeness with his daughter again and the baby would have to be very strict on the condition that he doesn’t blab. He has shown himself to do that. 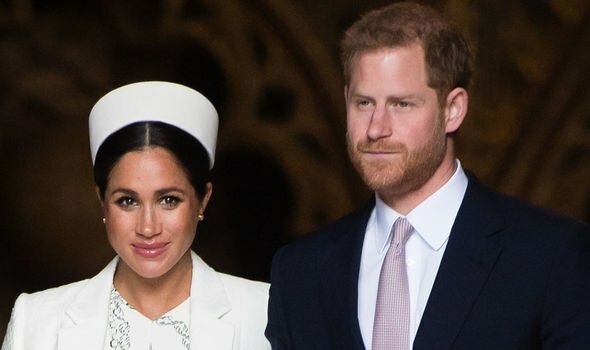 The royal expert said Meghan could risk facing an “enormous travesty” if she lets her father access her baby, which is expected to be born next month. 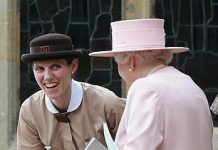 Ms Mollard said the letter is likely to have been Meghan’s attempt to repair the relationship to her father ahead of the birth, adding: “She will be very protective. “This is her new family now and that will be cemented by having a baby. That level of protectiveness that she will feel. Thomas Markle has at times begged for his daughter to reach out. But in other interviews, he has also called her “superior” and branded the Royal Family as “a cult”. 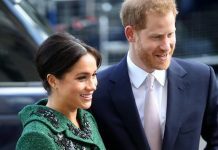 The letter emerged following an anonymous interview given by five of Meghan’s closest friends with PEOPLE magazine last week where they revealed their concerns about the rumours around Meghan Markle. The Mail on Sunday published the extracts from the letter, which Mr Markle said left him feeling “devastated”. Just three months before Meghan sent the letter, Mr Markle had pulled out of his daughter’s wedding to Prince Harry due to health complaints, following a row over staging paparazzi photographs.